Do you give much thought to how you dress the dinner table at Christmas? Do you have different themes for different meals? I’ve only hosted Christmas lunch twice in our house. The first time the children were so small, R fell asleep just as lunch was served, but last year, they really got into it and had great fun helping to set up the table on Christmas Eve. It was lovely to wake up the next day and have the table fully set and looking so festive. 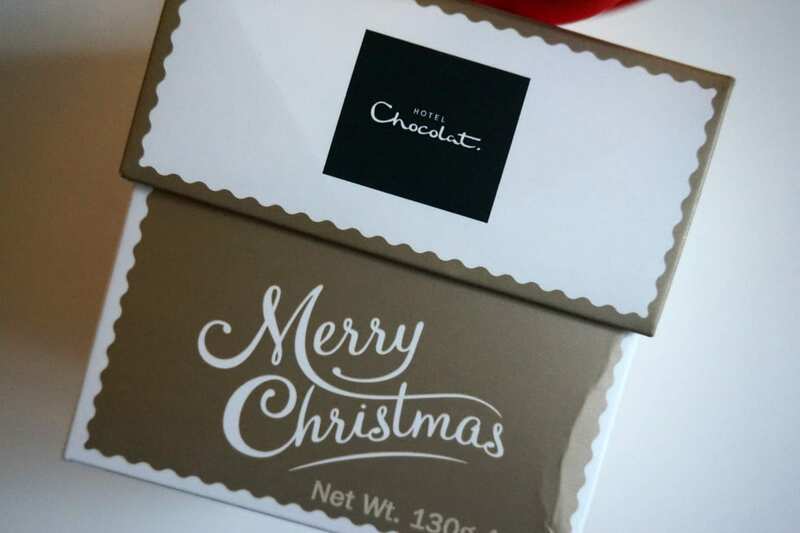 This year I have a few new pieces and, although we won’t be hosting, I thought it might be fun to use them so we’re going to have a special Christmas Eve meal just so we can set up the table and enjoy some new crackers. I’m loving this gorgeous grey and white table-cloth which fits my table perfectly. It’s the first proper one I’ve had for a long time. 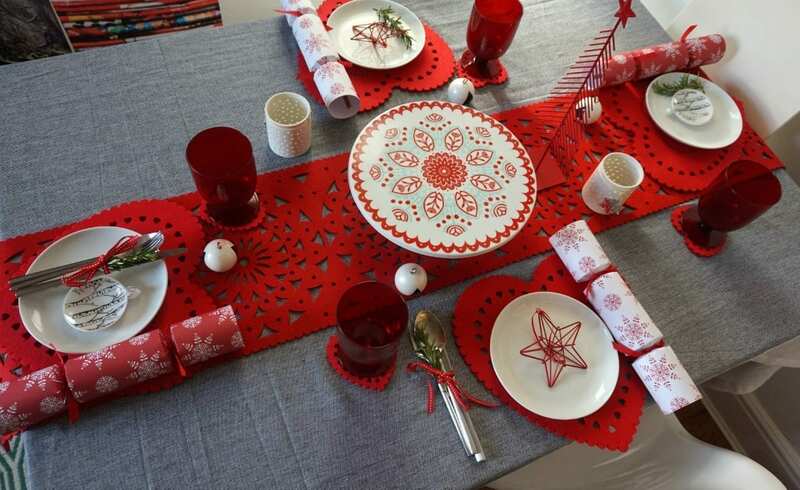 I’ve added some felt table mats and coasters that I had last year from M&S, but this year I’ve found a lovely matching red runner from Debenhams that works a treat. 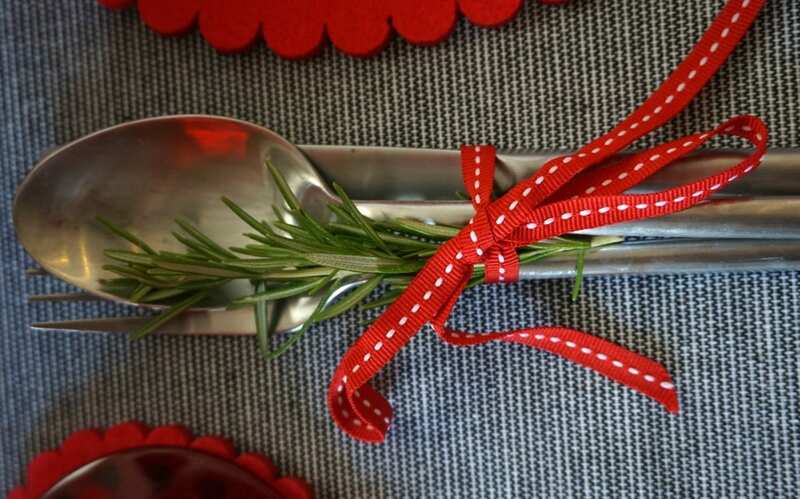 It felt a little overwhelmed with red so I’ve brought in a little fresh rosemary from the garden to add with the cutlery, which I’ve tied with left over ribbon from some packaging. The rosemary adds a wonderful scent to the table too. 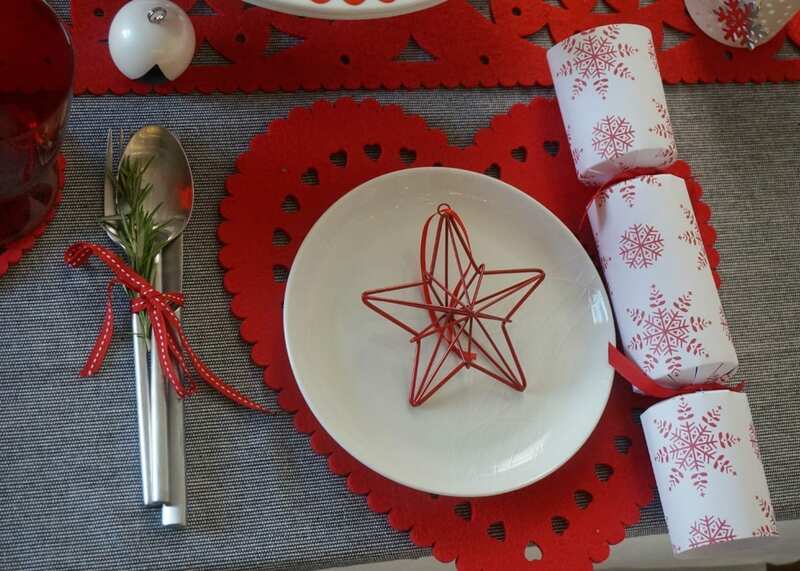 The extra Scandi pieces like wine goblets, crackers and place name holders are all from the John Lewis Copenhagen Edit and look great combined with my other accessories. Once the fabulous Debenhams cake stand is filled with mince pies and chocolate log, the table will be complete. 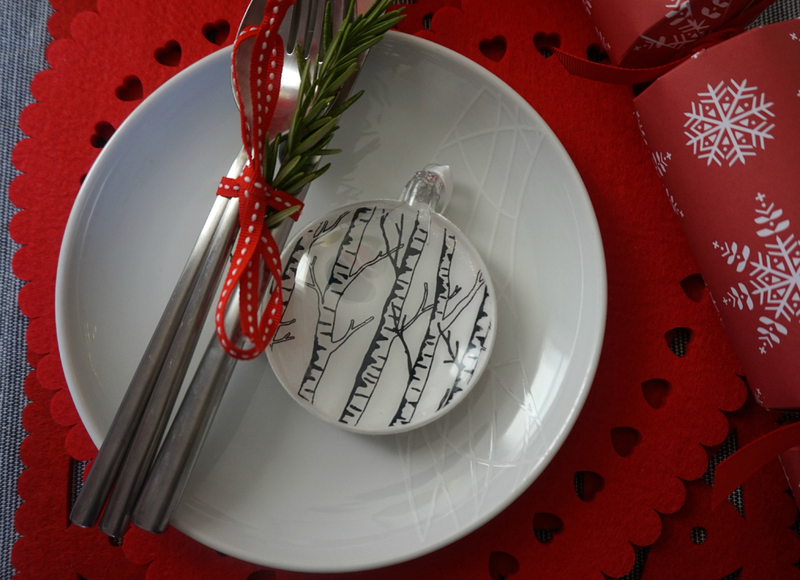 The Scandi baubles liven up the place settings and add a fun and colourful element too. 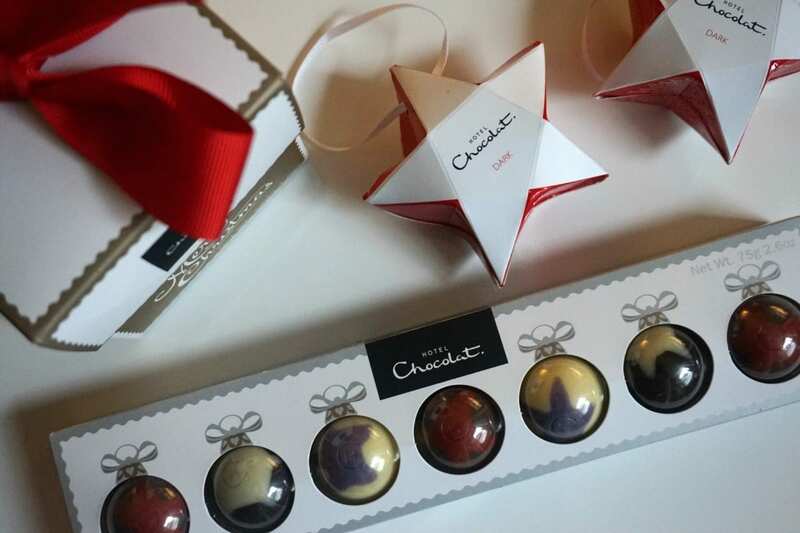 My Christmas table wouldn’t be complete without some treats, in the shape of these stylish looking Hotel Chocolate Goodies. 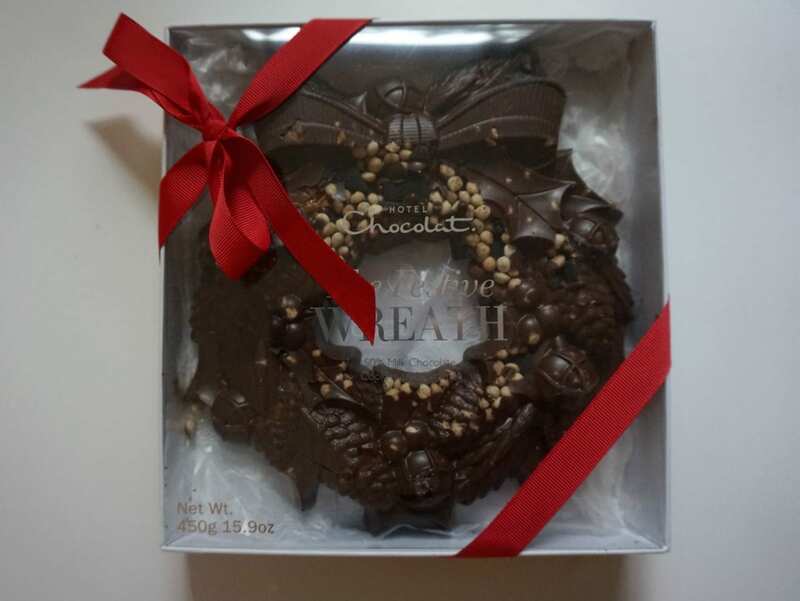 We can’t wait to cut up the enormous wreath as our Christmas Eve dessert! Furniture Choice are running a competition asking people to design their Christmas dining table, and this is my entry. 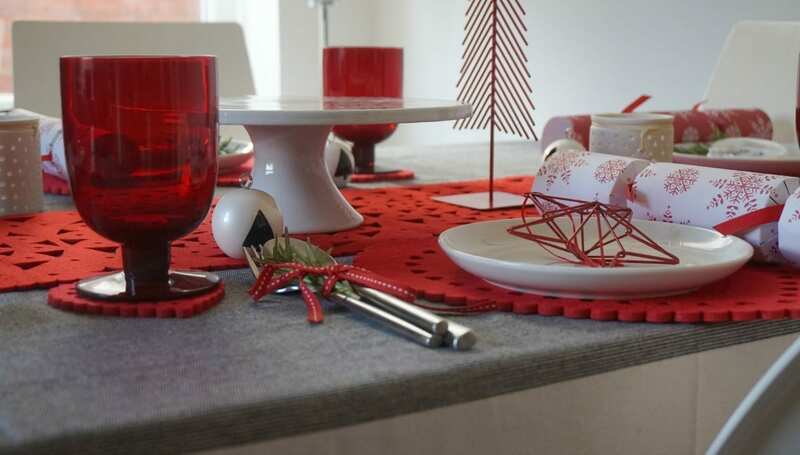 Do you love decorating your table for Christmas? Previous Post Is the Future of the Office in the Home?